When we reached out to Wendy for this interview, she was in the middle of an important task: baking cookies for the Richmond American employees who helped make her dream home a reality! 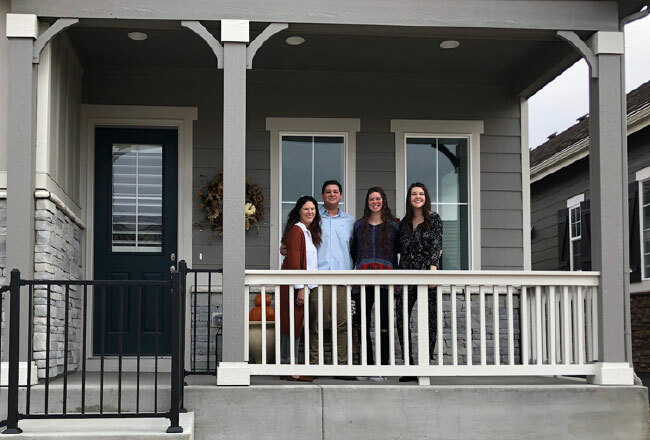 Wendy was ready to live in a home with a main-floor master suite and comfortable spaces to gather with her three children—ages 17, 19 and 22—when she discovered Peakview Village in Centennial, Colorado. As a big fan of the relaxing patio her previous home offered, the Garrison floor plan’s inviting covered patio with cozy fireplace sold Wendy on her new house. She thoroughly enjoys spending Colorado mornings and evenings taking advantage her new outdoor living space. Being an integral part of the process was the best element of Wendy’s homebuying experience. She enjoyed regularly checking in on the progress of the home and receiving phone updates from her sales associate. Visiting the Home Gallery™ was also easy and fun for Wendy. She knew exactly how she would like her home to come together, and her design consultant Rachel helped her make this happen while staying within her budget. She appreciated how Rachel helped her “breeze through” her appointment and that she was able to walk away with everything that she wanted. In addition to loving her new home, Wendy is excited about the new community she has joined. She delighted in working with everyone and enjoyed the laughter and upbeat attitudes that she encountered throughout the process. She would like to thank Richmond American employees for cultivating a welcoming atmosphere at Peakview Village, including David (superintendent), Joe (superintendent), Sam (assistant superintendent) and Karyn (sales associate). If Wendy moves in the future, she will definitely consider Richmond American for her next home purchase and eagerly told all of her family and friends about the “thrilling and rewarding” experience she had purchasing a home with the company. That being said, she made sure her children know that she won’t be leaving anytime soon! Thank you, Wendy, for sharing your story with us! We hope you enjoy your new home. 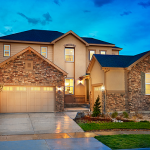 Explore our desirable Denver-area communities!